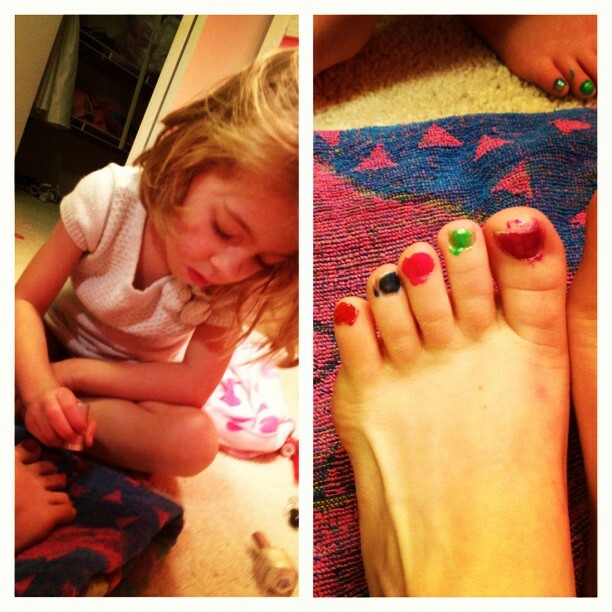 I let her paint my nails! 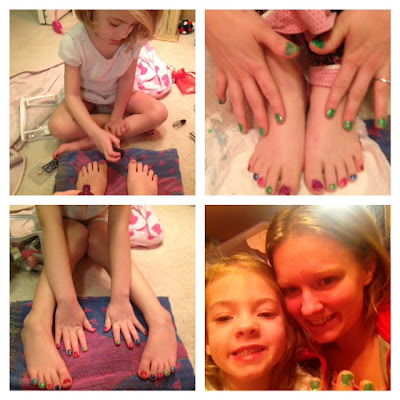 What is a good age to let your daughter paint her own nails? I have been the one painting them but on this night I finished hers and she asked to do mine. :) She needs to practice so I let her start on my toes and then I even trusted her with my fingers. :) She did a good job of having steady hands but we have to work on going one direction to keep it neat. It was a fun time with my little girl!